Hope and Brad got their engagement photos taken at the Wright County Fairgrounds in Howard Lake, MN. 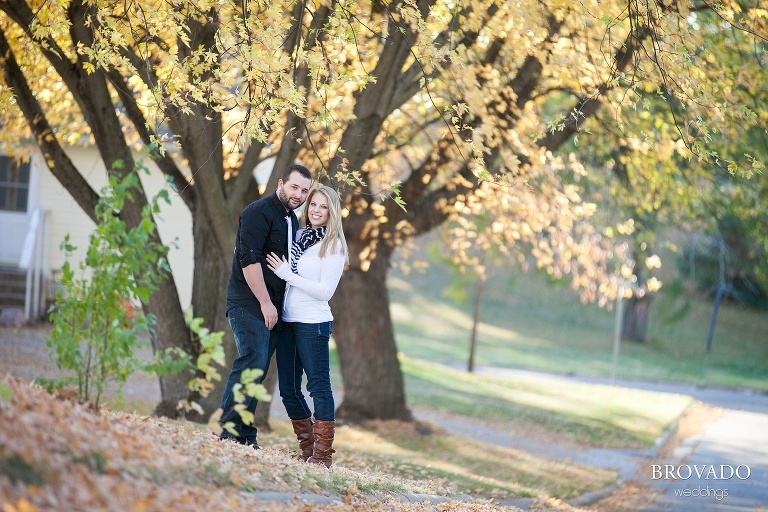 We lucked out with some beautiful backdrops as the fall leaves were at their most colorful peak. 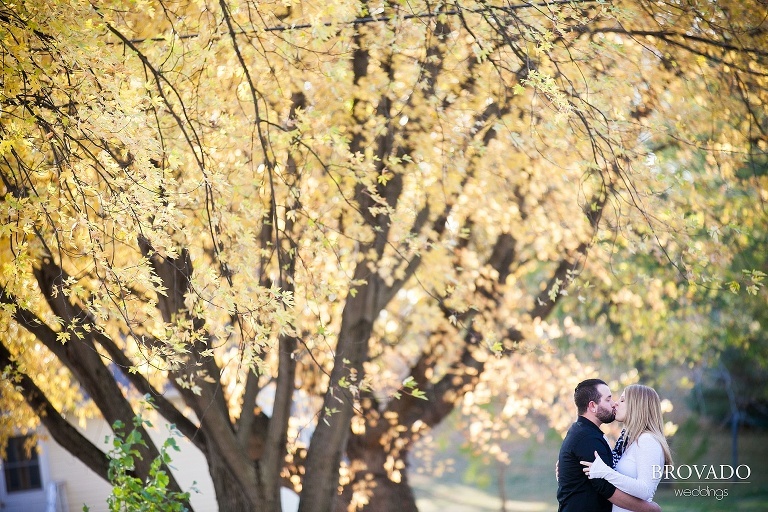 Our photos are splashed with vibrant oranges and yellows, an action shot or two of a moving train, and some playful engagement pictures at a warehouse loading dock. Hope, Brad and I got to enjoy some of the last beautiful fall weather of the year!